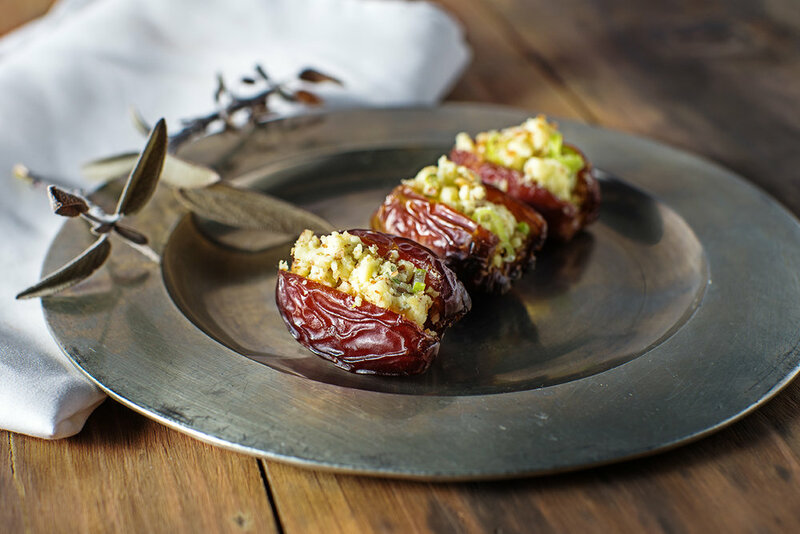 Blue Cheese and Pecan Stuffed Dates — Make It Veg! A great little small dish to serve at the next cocktail party. These are small, easy to make and also filling. They pair perfectly with a nice whiskey cocktail, and are both sweet and savory at the same time. Pit the dates if they are not already done and cut lengthwise just enough to expose the inner cavity but not all the way through. Mix all ingredients until well incorporated and fill dates. These can be served room temperature or warm. Put under a broiler for 2-4 minutes for a warmer version.